As a private criminal defense practitioner, Daryl Anthony will personally handle your case. You will work directly with a highly experienced lawyer, not a junior associate from a larger business model, who may be learning at your expense. Since every case and client situation is unique, you deserve a lawyer who will take the time to understand your particular situation and needs. 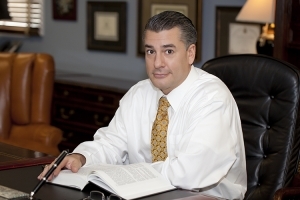 Mr. Anthony’s practice is not a large firm rapidly processing cases through a system designed mainly for profit. You will notice the personal attention that you receive for your particular case immediately and throughout the balance of the defense. Daryl Anthony is committed to helping his clients. He recognizes you have numerous lawyers to choose from. His practice grows by referrals from satisfied clients. He really cares and strives to obtain the client’s objectives and goals. • You will be treated professionally, courteously, respectfully and honestly. • Your phone calls will be returned. • Your objectives will be pursued, as permitted by law and the CA Bar Rules of Professional Responsibility and Conduct, including the decision on settling your case. It is really the client’s decision. • Your matter will be handled competently and diligently in accordance with the highest standards of the profession. • You will be kept informed of the progress of your case with professionally written letters. Or if you prefer I will send no mail whatsoever. • Confidential information will be preserved during and after our lawyer-client relationship. • You will be provided with copies of all important case documents. • Fees and costs will be explained to you in advance. • Daryl Anthony will maintain the highest degree of professional conduct in accordance with the CA State Bar Rules of Professional Conduct and State Bar Guidelines. 2. Good lawyering is an art, not a science. There is no one, single correct way to do it. It is like playing a sport or musical instrument. There are many different styles. Different people do it differently. 3. As in sports, there is offense and defense. It is adversarial. The government controls the offense. The defendant, the lawyer and related professionals make up the defense. When I can, and to the extent that the defendant can, I prefer to make it a team sport. It is better for the defense. 4. As in sports, most of the time the defense responds to the offense. Sometimes the defense is so strong that its’ terms can be dictated to the offense, but this is unusual and rare. 5. I have counseled thousands of potential clients and family members in my office. Many people claim to want an “aggressive attorney,” but I believe those words are misused and that expression is often uninformed. Defending criminal cases is really a finesse game. It requires much skill to control the ball effectively. Otherwise the ball gets stripped, resulting in the opponent’s score or victory. 6. The government holds most of the cards, so many times the aggressive approach that clients claim to want and that some lawyers routinely employ, really only irritates the prosecutor and aggravates the prosecution. 7. Sometimes however an aggressive approach really is called for. It all depends on the case and individual circumstances. Knowing this and knowing what strategy to utilize when is what good lawyering is all about. The defense must also execute effectively. A good lawyer can be aggressive, yet professionally courteous. I believe that is the way lawyers are supposed to behave. 8. I am paid to get results. I understand this. Southern California has many qualified lawyers. I know the consumer has lots of choices. I am also paid to provide services such as counseling, communicating, advising, investigating, but if the results obtained are not good people rarely appreciate the services part. 9. The most important qualities the lawyer should bring to the equation are honesty and good judgment. Dedication and hard work ethic are also important. If the client does not trust the lawyer, the counseling and advice provided is meaningless and the defense suffers. 10. There are many ingredients in the recipe for successfully defending criminal cases. The facts the prosecution can prove is by far the single most important ingredient. Good lawyering is another ingredient. Many lawyers may not admit it, but luck is always an extremely important ingredient. 11. The personalities involved (judge, prosecutor, defense lawyer) are other ingredients in the recipe. Sometimes the players can change over time or during the course of a prosecution. 12. Unfortunately for the defendant, the market for lawyers gets more and more competitive every year. The internet is also responsible for this. Less that forthright attorneys may tell potential clients what they think the client wants to hear to land the client or make a sale. I believe more lawyers should be more up-front with the client and any involved family about what the defendant is really facing. Lawyers should not just tell the client and family what they want to hear to make money. 13. Defending criminal cases in NOT a fair fight played on a level playing field. The odds are stacked in favor of the government. The defense lawyer needs to be skillful, smooth, balanced, and many times artistic and creative if the defendant is to really have a chance for obtaining objectives. 14. I enjoy helping people. It is one of the reasons I do what I do and have done it for so long. I do my best to keep the scales of justice evenly balanced for my clients. I enjoy the challenge. 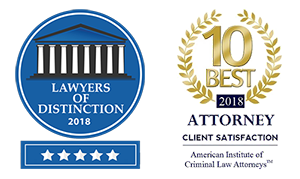 In compiling my Case Highlights and Results section, I realize that being single and having no children often gives me a competitive advantage over other lawyers because I have fewer distractions and more time to devote to accomplishing professional goals. 15. When I first started private practice, I was puzzled why same lawyers advertised themselves as “Attorneys” and other lawyers represented themselves as “Attorneys and Counselors at Law.” I did not understand why? I do now. Good criminal defense lawyers do a lot of counseling, and we sometimes must adjust attitudes and expectations. 16. My approach is personal and what works for me. Generally speaking… I try and treat the client as I would want my lawyer to treat me if I were the client. I believe it works. I have received many gifts of gratitude and thank you cards over the years. 17. After being arrested for a crime a person will need money for three things: bail, lawyers, and defense investigation and services. 18. Being a good lawyer involves a lot of patience, good listening, and effective communication skills. 19. While luck is part of every successful defense, the harder one works… the luckier one gets!